Cultivating an attitude of gratitude is a foolproof way to happiness. By focusing on our abundant blessings, we leave little room to complain about what we are lacking. In his book Messages from Water and Universe, Dr. Masaru Emoto found that the words love and gratitude were the most powerful when used in his experiments with water molecules. These two words completely transformed the water molecules into brilliant and beautiful shapes. When our heart is full of gratitude we vibrate at a higher frequency. 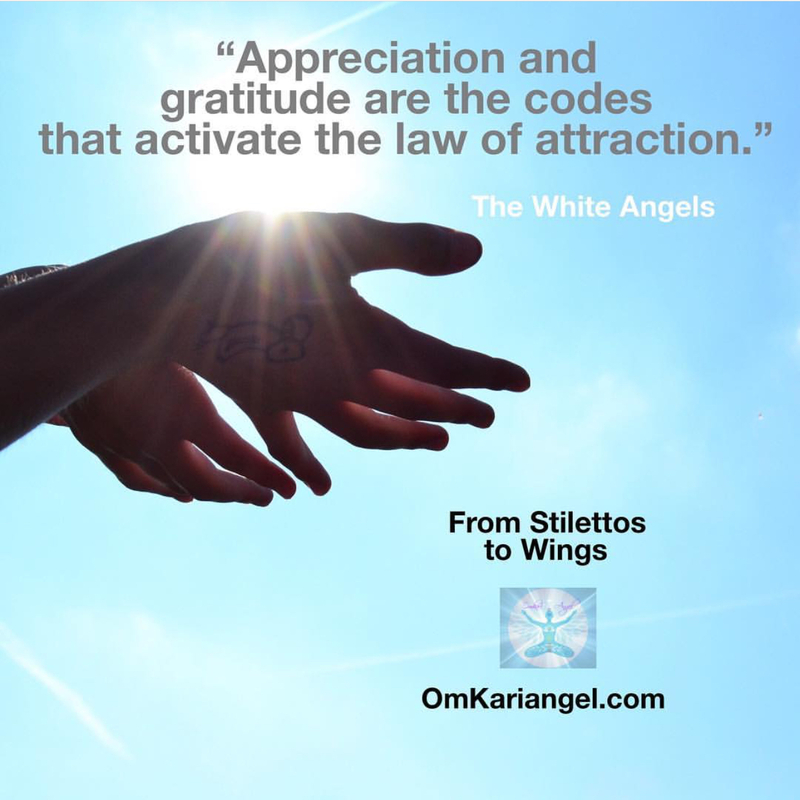 By expressing this gratitude we activate the law of attraction and are given more to be thankful for. In other words, when your are grateful, your cup runneth over. So how do we stay in the space of gratitude and live with a grateful heart? We can begin by counting our blessings. Once you begin, you might be amazed at how many you have. Start with gratitude journal and at the end of each day write 5 things you were grateful for. This will cause you to reflect on your day and remember the positive aspects. With this is your mind as you close your eyes you will end the day living in the vibration of gratitude and sleep peacefully with a thankful heart.